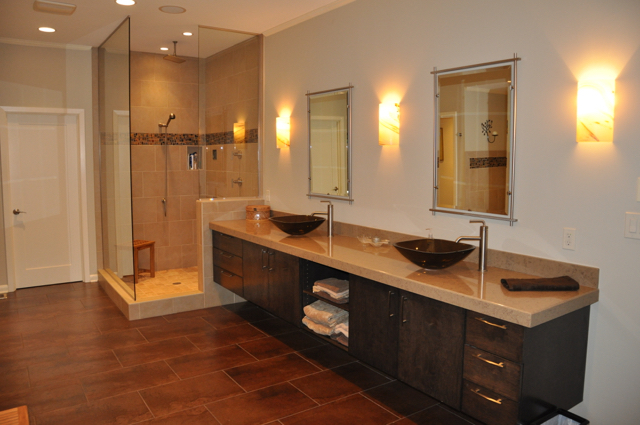 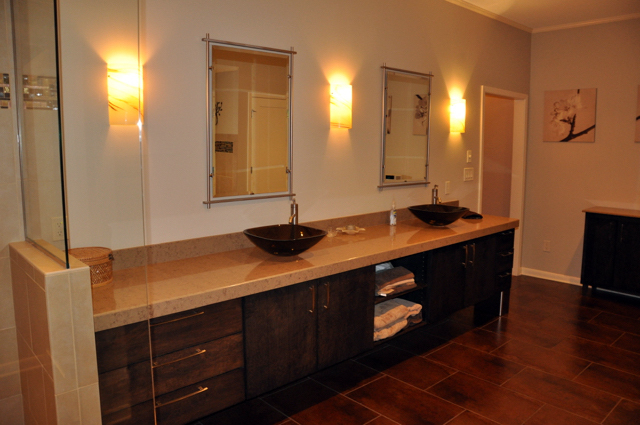 An outdated master bathroom was transformed into a sleek, spacious yet cozy space for two. 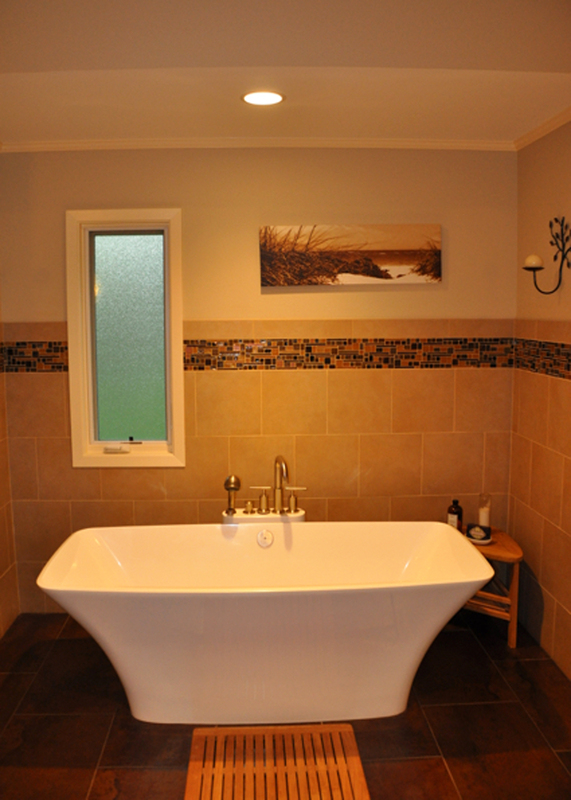 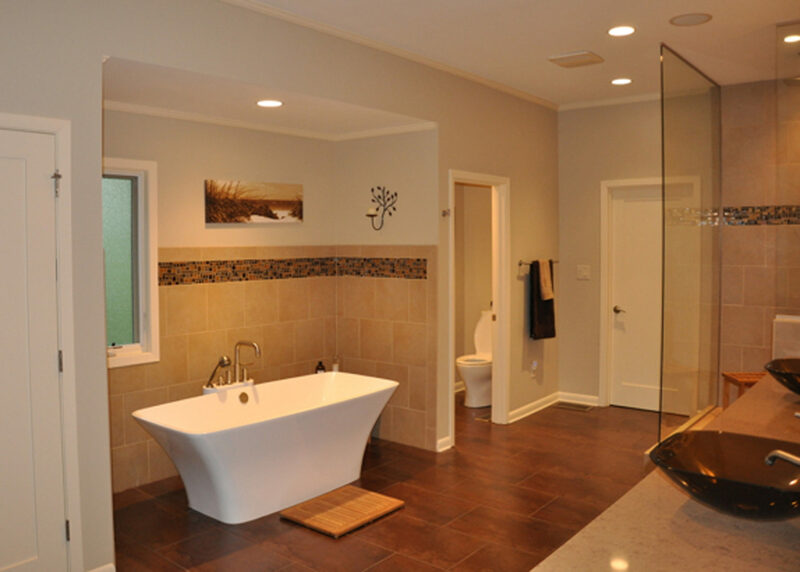 The bathroom features a free standing tup in an alcove with a new separate glass & tile shower. 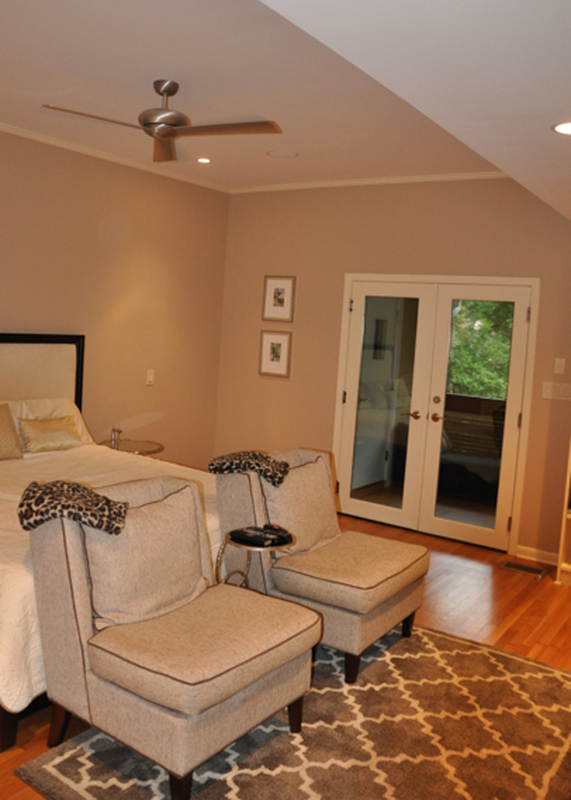 Upgrades were made to the master bedroom, hallway and den. 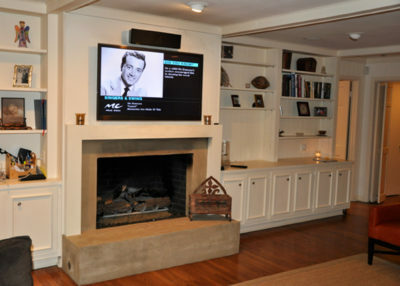 A modern fireplace was integrated into the existing space. 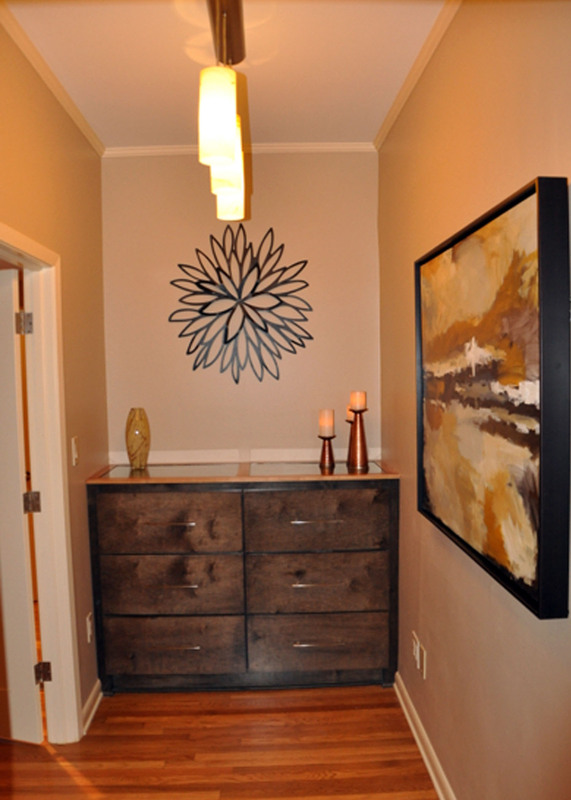 New cabinetry and lighting were added to the hallway to integrate with the warm and subtle lighting of the master suite.